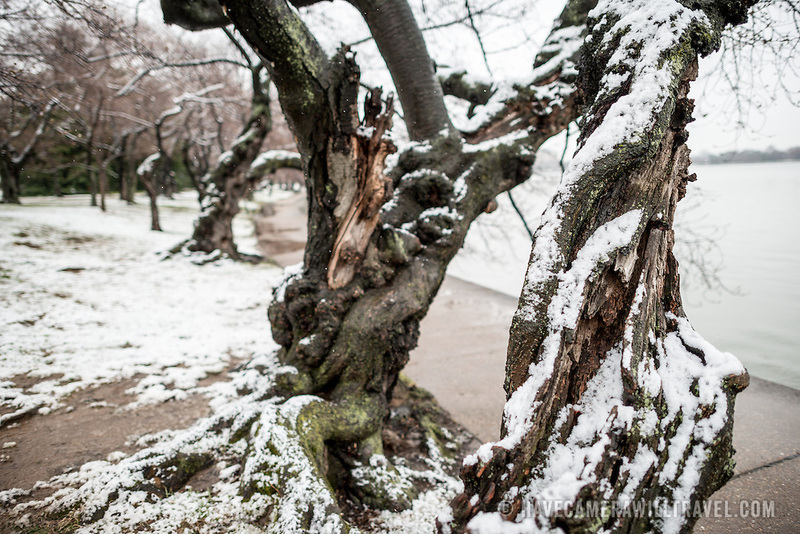 Some of Washington DC's famous cherry trees in a late snow. Each March and April, the cherry blossoms spring into beautiful bloom in an annual event that has become a major tourism draw for the region. But the bloom comes fairly quickly, and throughout the winter the deciduous trees are bare. The trees in this shot are amongs the oldest original ones and are now over a century old.